Digital advertising is a tricky beast to master. Sometimes you're doing everything right, but you still just need that little extra push. This was one of those times. A Honda dealer needed to drive more relevant traffic to their website and increase visitor engagement. The dealer’s current digital advertising included healthy spend in all paid search and social areas, so Naked Lime’s digital advertising specialist suggested a new option: Programmatic Display Advertising. • Native, in-image advertising – Shows ads directly over the image the visitor is viewing on the site, making it part of the content. • Dynamic display ads for both new and used vehicles – Real-time inventory updates offer exactly what you have in stock. • Advanced contextual and behavioral targeting – Uses each shopper’s online behavior off your site to target ads. • Remarketing – Follows previous visitors with specific vehicle ads after they leave your site. All programmatic ads offer interactive features, like photo carousels, that encourage the shopper to engage with the ad and ultimately visit a Vehicle Details Page (VDP) for more information. Traditional display advertising only operates on the Google Display Network (GDN). Programmatic Display Advertising uses the GDN, but also adds the six additional exchange networks in the Auto Audience Network (review sites, listing sites, research sites visited by car shoppers) to increase visibility. This enhances a dealership’s ability to target the right consumer, at the right time, in even more places. The specialist allocated $2500 in ad spend to Programmatic Display Advertising, focusing on remarketing at the VIN level for both new and used inventory. This meant that even after the visitor left the website, they would be served ads for the exact car they viewed, accompanied by others like it, to increase the chance of conversion. The specialist tracked VDP activity and other visitor behaviors. Every action taken by a website visitor on the VDPs was tracked to evaluate user interest and follow their path to purchase. Splitting the focus between attracting new visitors and remarketing to those that came to the website produced a higher number of events, or actions taken once the user returned. 34% of users who clicked on a Dynamic Display Ad to visit this store for the very first time during August–October returned to the site within a three month time period. When these users returned there was a 56% improvement with pages viewed per session (1.53–2.40) and a 213% improvement with average session duration (0.51–2.40). Pages viewed per session increased, as did the time spent on the website when a shopper returned after remarketing activity. These measurements both indicate an increased likelihood of conversion. This dealer’s success in all measured areas shows how the addition of Programmatic Display Advertising can enhance an already strong paid search strategy. 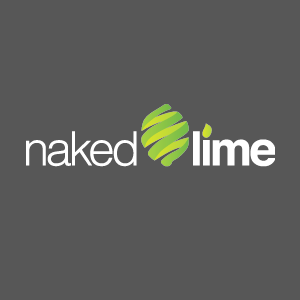 Contact us at 855.NKD.LIME or info@nakedlime.com to learn more about how Programmatic Advertising can help you drive VDP traffic, inspire users to take action, and remarket to active car shoppers.